Most men are not satisfied with the permanent output of their lives. Nothing can wholly satisfy the life of Christ within his followers except the adoption of Christ’s purpose toward the world he came to redeem. 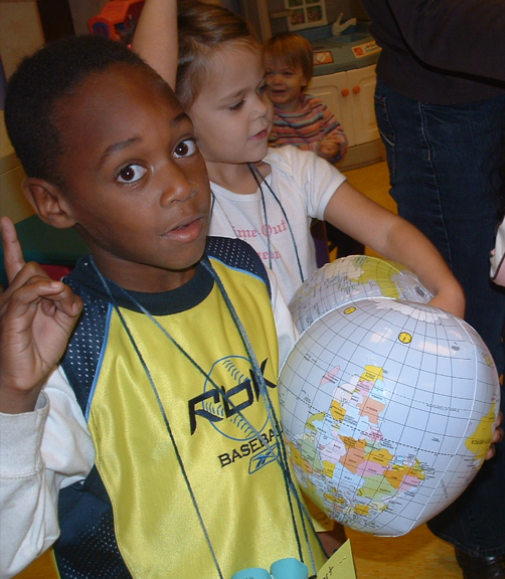 Since the weather has made it necessary for us to take a month off of Little Globetrotters, perhaps these meditations on missions from the Advance ’09 conference sponsored by Acts 29 will help focus you as you continue to teach your children to care for the whole world. Everyone of you who confesses Jesus as Lord of the Universe signs up for a significance beyond anything that you ever dreamed…. To belong to Jesus is to embrace the nations with Him-that He will one day rule entirely. Your heart was made for this! Your heart was made to embrace the global dimension of missional living. if you don’t have a global heart–if you’re not getting your arms around the nations and unreached peoples of the world–there will be a mild or serious sickness in your soul because your soul was made to do this. Many people don’t know what’s wrong with their souls. What’s wrong is that their souls have shrunk to the level of their concerns. When you pray: “Hallowed be Thy name; Thy kingdom come” that’s meant to take your heart and make it as big as history and as large as the globe.